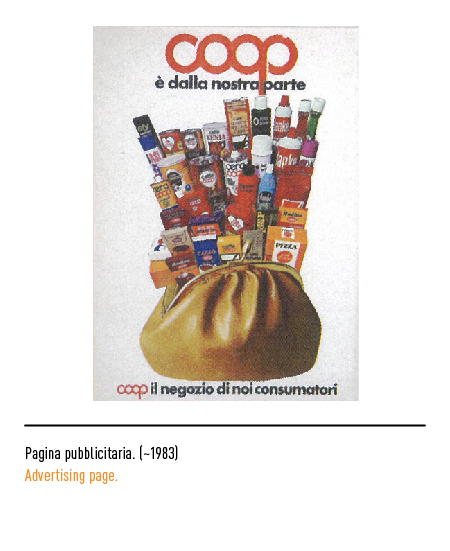 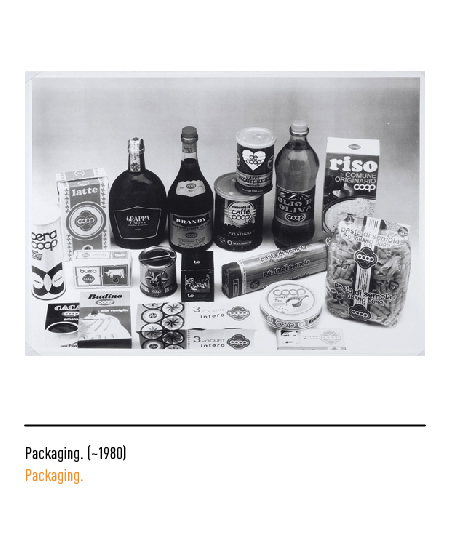 Born in 1845 in Turin, Coop is the first supply managing cooperative to ever exist in Italy, the first "drugstore", to defend the spending power of consumers, through the purchasing of supply from wholesalers and the selling at wholesalers' price. 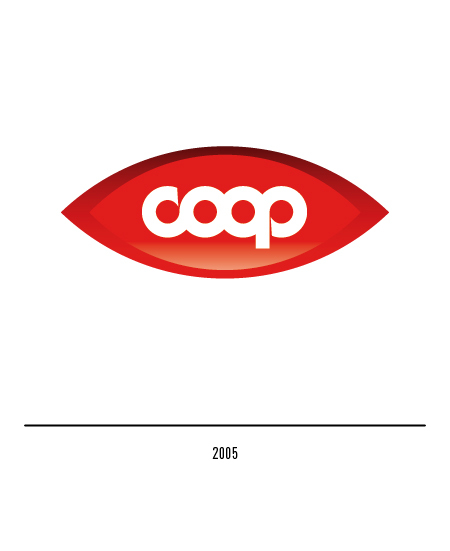 With time such cooperatives became a really important figure on the national level. 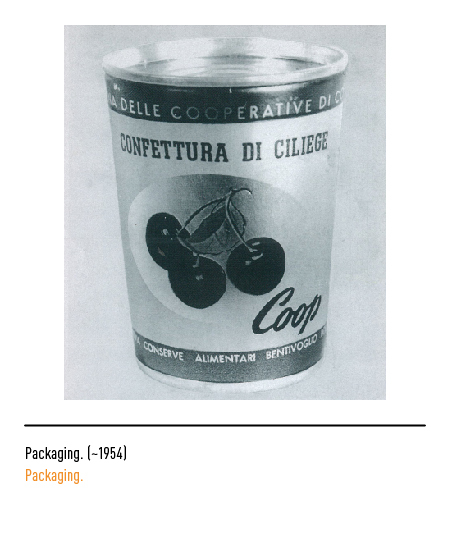 In 1945 the Associazione Nazionale Cooperativa di Consumo (National Association of Supply managing Cooperatives) ; during those years marked by war the cooperatives became beacons for the citizens, representing the cheaper alternative to privately owned shops, guaranteeing savings thanks to the elimination of the wholesalers' intermediation. 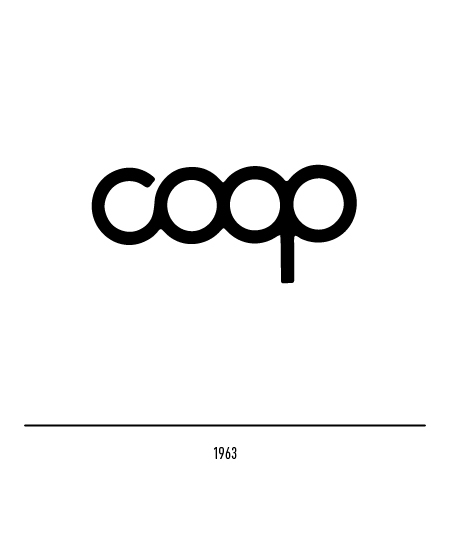 Since all the cooperatives survived through the war with different names (La Proletaria, La Fratellanza and such) the need was felt to appear as a unity, through the abbreviation Coop. 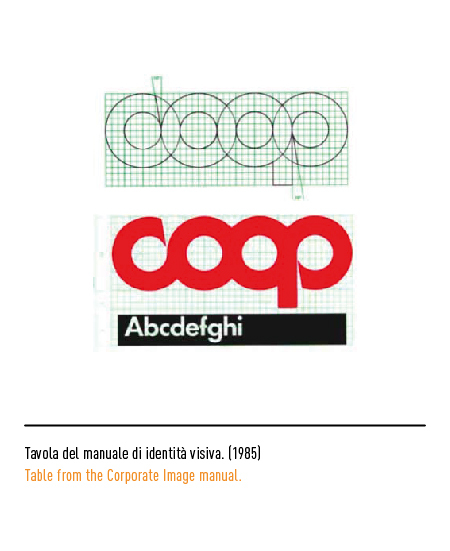 The first logo consisted of a italic font, as it was habit in those years; it hadn't had such a distinctive importance in advertisement and communication, since it was a mere signature to the product. 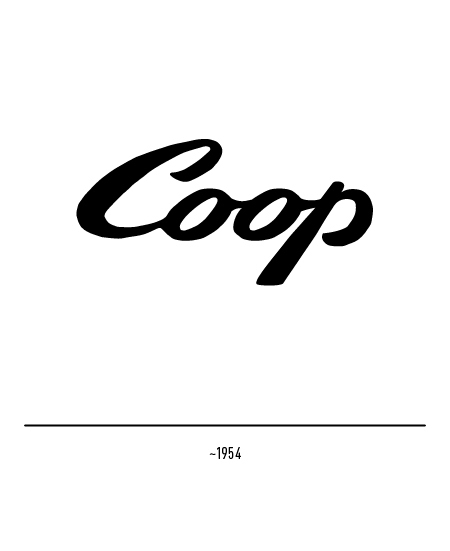 Deep in the economic boom Coop felt the need to change its policies and aims, in order to match the standards of the time; its own visual identity was to be fit into the modern communications techniques. 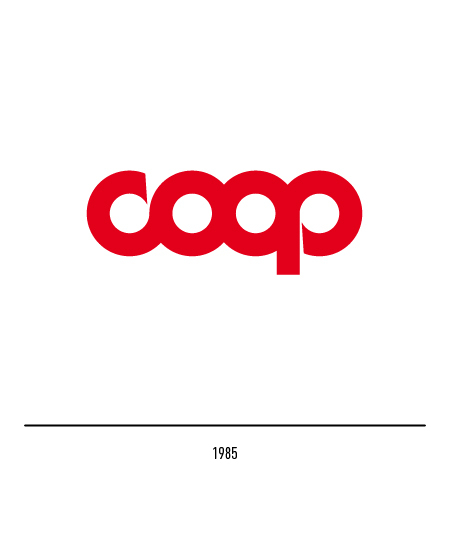 In 1963 Albert Steiner redrew the logotype ; to put an accent on the idea of "cooperation" which constituted the main pillar of the company, he decreased to the minimum the space between the four letters, so to erase any division and visually represent cooperation. 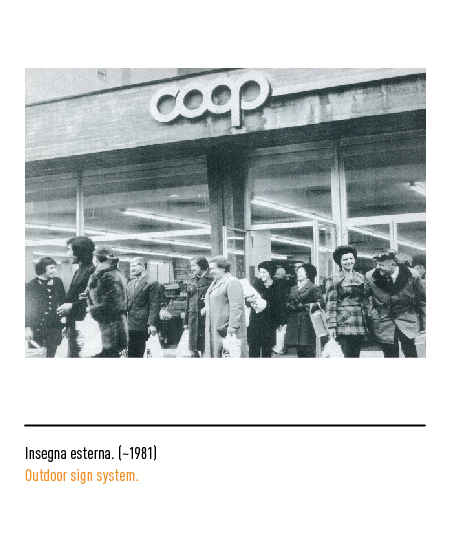 Such logo appeared for the first time as sign of the first "free service warehouse" in Reggio Emilia. 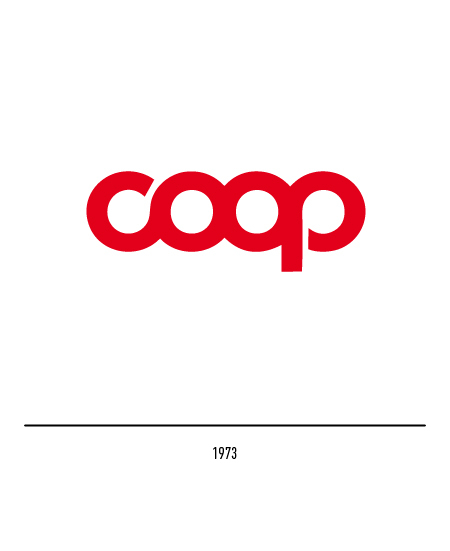 In the first years of the 70' there was a restyling of Steiner's logotype : the letters became bigger and the connection of the letter C and P with the two Os were improved. 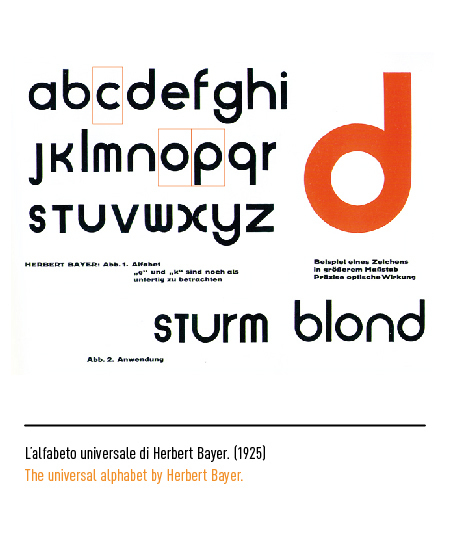 In 1985 Bob Noorda effectuated the restyling through small yet very effective modifications: he increased the size of the character, keeping for all letter the same skewing the C and the P had had until then. 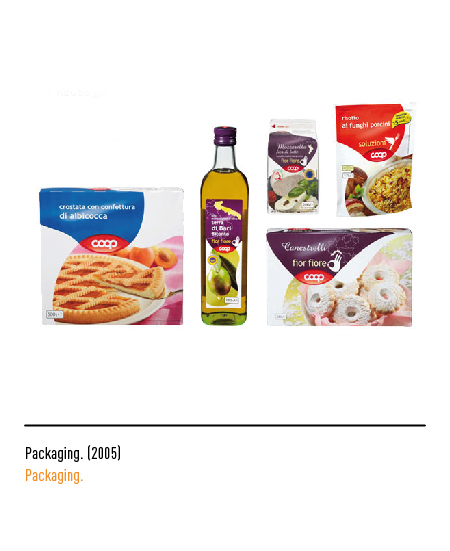 In 2005, a new restyling was assigned to the company Advance : the logotype is put in an eye-shaped red figure; the packaging also gains in aesthetics, appearing modern and appealing. 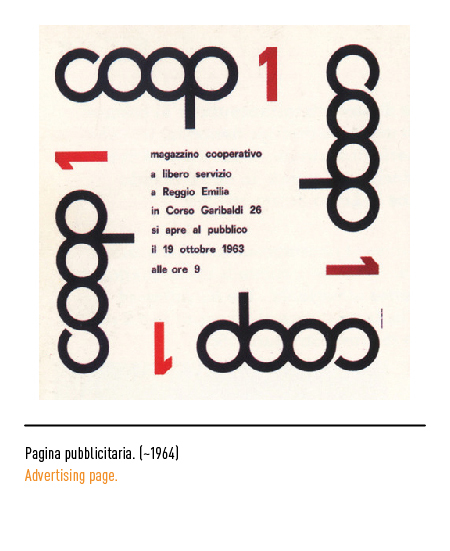 Aldo Colonetti, "Gli spazi dell'archigrafia" in Linea Grafica, settembre 1986, Azzurra Editrice, Milano. 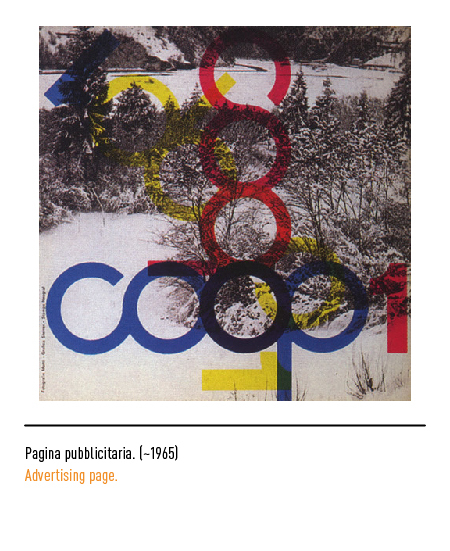 Andrea Rauch, GRAPHIC DESIGN, Mondadori Electa, 2005, Milano. 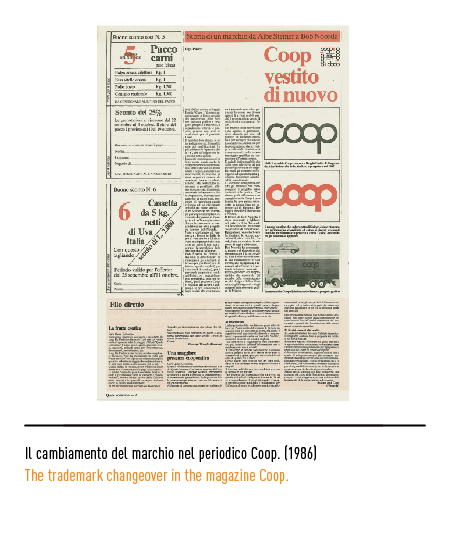 150 anni Coop. 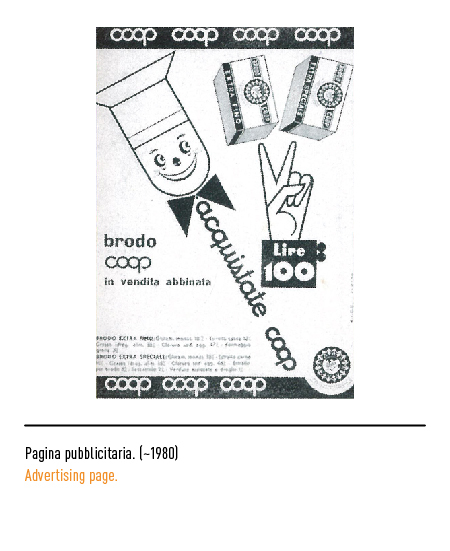 Insieme a te abbiamo fatto tanta strada, opuscolo pubblicitario 2004. 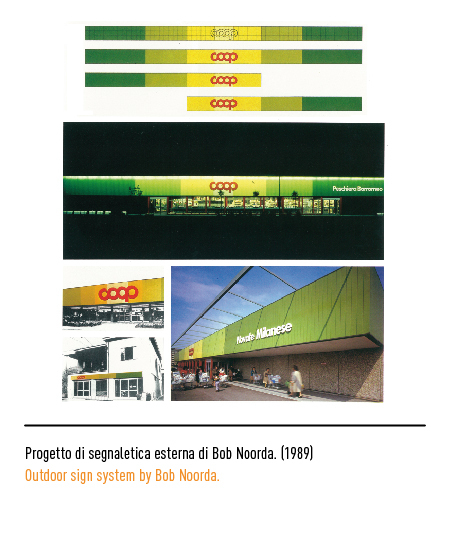 Marchi d'impresa, immagine coordinata, brand image, a cura di Andrea Rauch.